The ANT Blog: A kill on the wing! A kill on the wing! 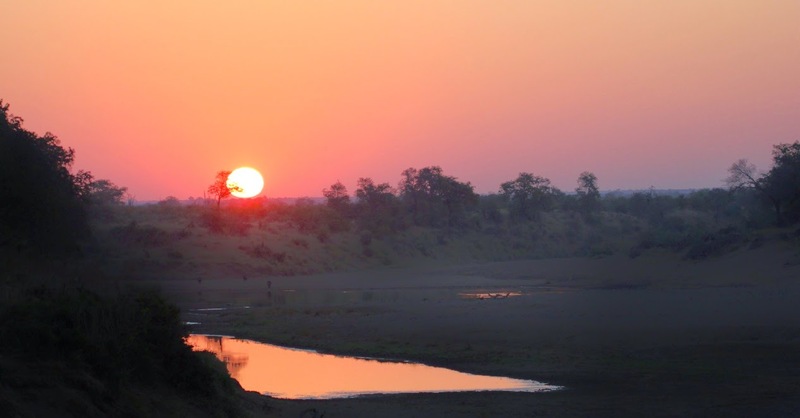 On a recent trip to the Kruger National Park, we parked on the high level bridge over the Shingwedzi River, enjoying the amazing sunset. A ranger mate who used to be stationed at Shingwedzi always assured me that Bat Hawks did indeed exist, as he had seen them in the area from time to time. “Yeah, right...” was my usual reply! So there we were, clicking away with our cameras, whilst keeping an eye on the bats emerging from their roost under the bridge, when two dark birds swooped over the river from some nearby large trees. Could these be the elusive Bat Hawks I have wanted to see for years? Binoculars quickly replaced the camera and my eyes confirmed the over-excited expletives from my husband – our first sighting of a Bat Hawk! The Bat Hawks started their hunt as one swooped on a bat. The bat detected the threat and swiftly took impressive evasive action, only to fly directly into the path of the second Bat Hawk – we had just witnessed a ‘kill on the wing’. It all happened very quickly and, with the light fading and gate-closing-time fast approaching, I did not manage to get photographic evidence of this incredible sight, but I definitely have a picture in my mind that I will never forget. Back at camp, the reference books came out and we read that Bat Hawks do indeed hunt their prey on the wing, catching prey with their feet and - if the prey item is small enough - swallowing it whole in flight. Insectivorous bats are the usual prey of the Bat Hawk, with most hunting occurring at dusk. The bird can catch its daily food requirement within only twenty to thirty minutes. 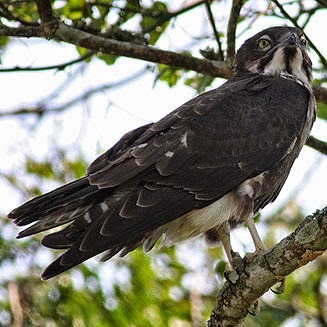 It is estimated that there are no more than five breeding pairs of Bat Hawks in the Kruger National Park and they have ‘Near-threatened’ status in SA - so this is a very rare bird to see. We returned to the bridge the following evening and - luckily - the Bat Hawks made another appearance at sunset...so keep an eye out for them next time you overnight at Shingwedzi!